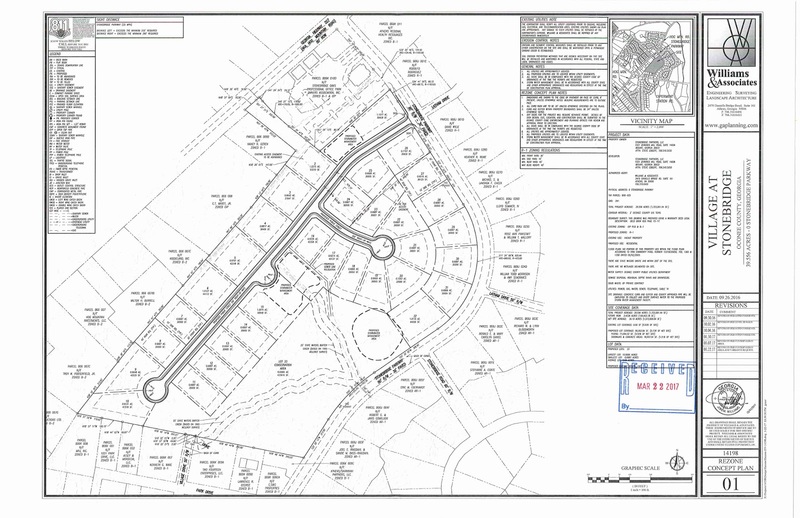 A request by Stonebridge Partners LLC to rezone approximately 40 acres just east of Butler’s Crossing for a 35-lot single-family residential subdivision is back on the agenda of the Oconee County Planning Commission for tomorrow (Monday) night. The request was on the Planning Commission agenda in November, December and February, and each time the applicant pulled the request from consideration at the last minute without explanation. Oconee County Schools has raised concerns about the project because of its impact on the county’s schools. The Commission also will consider a request by the owner of 5 acres on the northwest corner of New High Shoals Road and Union Church Road for special use approval in order to allow a non-compliant landscaping services business in an Agricultural District. Stonebridge Partners LLC, with corporate offices at 1551 Jennings Mill Road near SR Loop 10, wants to rezone the acreage west of Daniells Plantation subdivision from Office-Institution-Professional Planned Unit Development and Highway Business to Single Family Residential use. The bulk of the property was rezoned from Agricultural Use to the OIP-PUD classification in 1996 for a retirement community, which was never built. The property remains wooded. The project, to be known as the Village at Stonebridge, will be built with septic. The single access will be off Stonebridge Parkway, which separates the project from the existing Daniell Plantation subdivision. Steve Ebbert is the contact person for Stonebridge Partners LLC. The county planning staff has recommended approval of the rezone request. CLWF LLC, doing business as PS Landscapes, is asking the Planning Commission to grant the special use for the 5 acres on New High Shoals Road to be allowed to continue to operate a landscaping services business on land that is zoned for agricultural use. According to Planning and Code Enforcement Department records, the county cited Chad Forehand, 1401 Twin Oaks Trail, off Barnett Shoals Road outside Watkinsville, on July 29 of last year “for conducting business in a zone where special use is required” at the New High Shoals property. Henson had signed the building permit for the barn in January of 2016. The Planning Department staff is not recommending approval of the special use request, according to the staff report. In 2014, a developer had proposed construction of a recreational vehicle storage facility for the property across Union Church Road from the PS Landscape operation but withdrew the request when residents in the area spoke out in opposition. 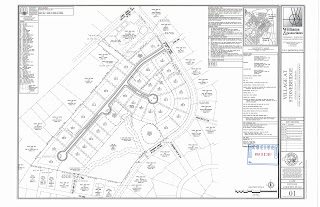 Aaron Chirou, 1011 Calls Creek Drive outside Watkinsville, is seeking to rezone the 9 acres at 6551 Hog Mountain Road from its current agricultural use to single family residential use for construction of the small subdivision. Chirou will be the developer of the subdivision, which will be on septic. Access will be off Hog Mountain Road. The Planning Staff has recommended approval of the project. The Planning Commission meeting is scheduled to start a 7 p.m. in the Courthouse in Watkinsville. I'm guessing that OC Schools hasn't notice that "thousands" of approved lots won't be happening now due to the sewer connections being pulled. The Village at Stonebrige looks like a good project in an area that growth is to be expected. The project is opposed by the school system because it's not ready. Once again failure to stay abreast of the curve is creating a reactionary obstruction. Expect much more of the same, as an explosion of building hits. After all, the developers, architects, and speculators are in charge. Xardox, I think you mean that the People are in charge. The People of Georgia have a right to do what the please with their land, so long as it is lawful. If the People decide to sell their land to developers, hire architects to build houses on it, or let it sit fallow for speculators to bid upon, it is the People's constitutional right. Everyone who says, "The Government should stop this development," you're saying the rights to life, liberty, and the pursuit of happiness should be taken away from the People, and that's Authoritarianism, not Democracy. Perhaps it would be both enlightening and educational if Dr. Becker could devote an article on property rights in Georgia; what the County Planning staff must consider when making its recommendations to the BOC; and the potential constitutional challenges that the BOC faces when making a zoning decision. Beg to differ with 6:52 am. Cities and counties zone land for specific use. If you own land zoned agriculture, then it's not for subdivisions or storage facilities. You know what your land is zoned for in advance; it's not a surprise. Your "pursuit of happiness" argument is a red herring. The Oconee County zoning map is specific and readily available. Yes, connected speculators and developers try their best to have spot zoning approved. There are checks and balances in place, such as the Planning Commission, comprised of everyday, average county residents. Look at Gwinnett and Fulton County for examples of what out of control development will result in, and it's not pretty. Oconee County is solidly Republican and has been for decades; I'm assuming that our elected officials with disagree with the "Authoritarianism" comment. Like it or not, you're part of a community, and one's self-interest is balanced with the needs of the community you've chosen to reside in.